Achipur Travel Guide: For most Calcuttans, food is the main draw at China Town. Others mostly go there to buy shoes or to get their dry cleaning done. But the Chinese community in the city has much more to offer than proficiency in a handful of trades. Their history is illustrious and dates back more than a couple of centuries. Achipur, a hamlet on the banks of the Hooghly near Budge Budge, is just like any other Bengal village 30Km away from Taratala. 300 years ago, this village, bustled with activity and was dominated by the Chinese people. This was the first Chinese settlement in India. On every Chinese New Year eve and for the rest of that month, Achipur turns into a mini Chinatown. Thousands of people gather at the Chinese temple here, especially on Sundays, to celebrate the new year. 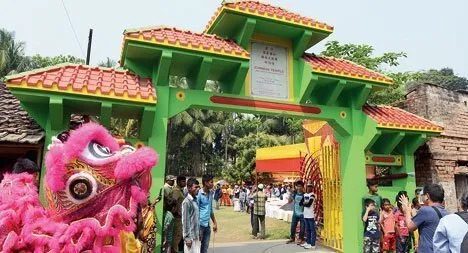 [UPDATES] Recently the members of Kolkata’s Chinese community have restored the temple and build boarding and lodging facilities for the community. Achipur is an old Chinese colony and the place derived its name from the Chinese businessman, Atchew Tong. The place is considered a gateway for those interested in the history of the Chinese community. You can even opt for picnics in this place, enjoying the sight of the Hooghly. Achipur remains a sleepy hamlet for twelve months a year, except during the Chinese New Year, when the whole area turns into a fairground. On the weekends preceding and succeeding the New Year, a major portion of the Chinese community in Calcutta descends on the village. 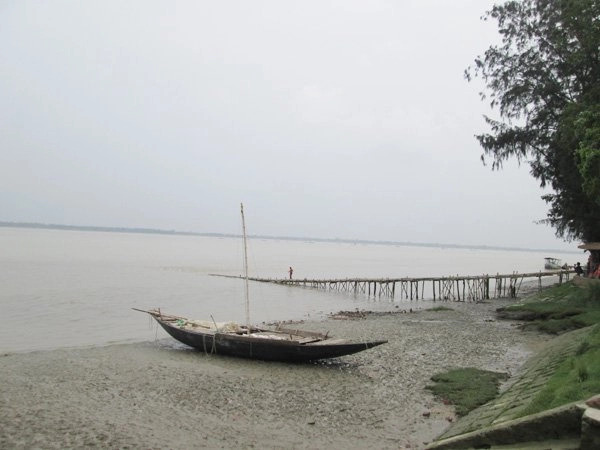 There is no tourist place as such in Achipur, but it is still a wonderful getaway for those interested in the history of the Chinese community, or even in a Sunday picnic on the banks of the Hooghly. East India Company documents show that a Chinese trader called Atchew Tong sailed into the village in the second decade of the 18th century and settled down. Others soon followed him. Atchew owned and established a sugar plantation attached with a mill in this village on the banks of Hooghly River, south of Budge Budge, during the time of Warren Hastings that is during the rule of British East India Company. The tiny, sleepy settlement that sprouted around the Achipur mill soon transformed into a Chinese colony. Chinese workers were brought by Achew to work in his mill. The Chinese population of Kolkata has originated mostly from the workers and associates of Tong Achew. Before long, a Chinese temple was founded and the settlement was christened Achipur, after the trader. The Chinese community may have vacated Achipur long back, and the mill and sugar plantation may not have endured the ravages of time, but the Chinese temple built in 1718 still stands erect, as does the semi-circular tomb of Tong Achew, overlooking the Hooghly. The main attraction of Achipur is the aged old Chinese temple that was built during the rule of British when the area was populated by Chinese people. At the complex’s main entrance, there is a huge gate has been built recently. The Chinese Buddhist temple is situated at a corner of the complex and surrounded by a low wall and one might have to crouch to get inside the temple, owing to the small entrance. The structure of the Chinese Buddhist temple in Achipur is that of a typical Chinese temple and comprises lovely wood carvings. In this temple, Chinese deities, Khudi and Khuda are worshiped. Head straight to the river from the temple. 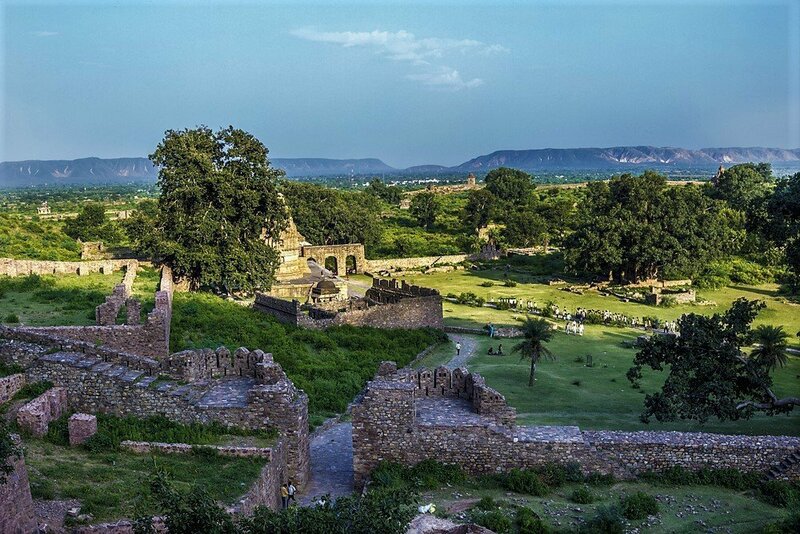 A cutoff through two brick kilns will let you to the grave of Achi. The red colored circular grave with Chinese inscriptions stands sandwiched between two kilns. The spot offers a grand view of the river. However, the frenetic pace of work at the kilns will make you move on. Follow the trail along the bank lined with banyan trees to enjoy the river view to fullest. There are a lot of open places to sit down and tuck into your lunch. One can spend the dusky time at the Budge Budge Ferry Ghat watching the ships crossing the Ganga River. The Ferry Ghat of Budge Budge is also historically significant because Swami Vivekananda landed here when he returned from his Chicago visit. Burul is a riverside village just 15 km from Bawali Farmhouse. Each year from June to September thousands of storks, cranes, and commorants flock here to nest and raise their children. Burul becomes a bird watcher’s paradise during this season. A nesting site of this dimension is a rare sight so near to Kolkata. Ships traveling towards Kolkata from Bay of Bengal carrying gunpowder had to deposit their stock in these storehouses called Barood Ghar located beside River Ganges. During British rule, ships were only allowed to carry 100 lbs of gunpowder with them for emergency calls and signaling. During their return journey, the ships would collect their deposits from this Barood Ghar on the banks of the river. It was during the early 17th century, Basudeb Ray a prominent official of the Mughal Court of Emperor Akbar was bestowed the land ownership of the area of Bawali. His descendant Harananda Mondal was one of the earliest to found the Zamindari at Bawali with the help of the Bawali tribesmen. The illustrious Zamindari grew with its effective land reforms and trade partnerships with the British. The Mondals of Bawali pretty soon was a name to be reckoned with amongst the Zamindars of Bengal. During their prime days, the Bawali Zamindars had built several magnificent terracotta temples in Bawali and adjacent villages. Today, this 300-year old palatial Bawali Rajbari spread over three acres of land and graced by ponds and gardens is being meticulously renovated to become a heritage hotel. 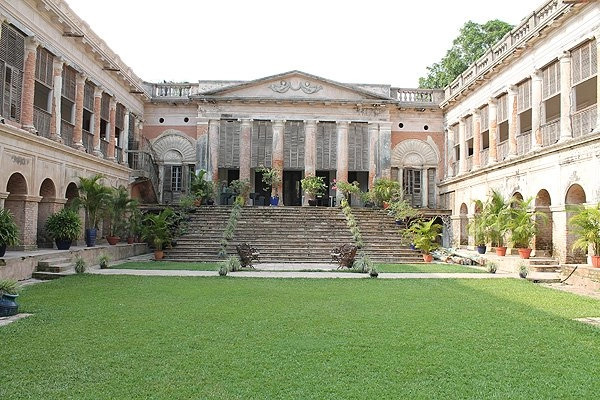 The Bawali Rajbari is built around a lush courtyard with Corinthian pillars lining the verandah. At Boro Kachari pilgrims come in thousands to a wish-fulfilling sacred Peepal tree. Believers take a dip in the nearby pond and circumambulate the tree with deep devotion. Newborn babies are brought to the tree with wishes for their health and a long life ahead. The riverside road from Raipur to Burul is a splendid drive along the banks of River Ganges called Hooghly River. This five-kilometer stretch crosses few villages, piers and stooping Banyan trees along the river. Stop for a time to witness fisherman casting their nets and the passing country boats and mammoth cargo vessels. The ruins of this nine-domed (Navratna) temple built in 1794 is one of the finest examples of Bengal’s temple architecture. Now in ruins, this temple is accompanied by a Jhulan Mancha, Rash Mancha and a Nat Mandir. It is said, that Rani Rashmoni’s famous Dakshineshwar Temple was inspired from this temple in Bawali. A trip to Achipur during the Chinese New Year will be a message of the cultural glimpse of the community. If, on the other hand, you prefer solitude, any spring Sunday could be the ideal time to visit. The best time to visit this place is during the 2nd week of February that is during the celebration of Chinese New Year. During this period a fair is held which is visited by a major part of the Chinese community. At that time, you can also get a glimpse of Chinese culture. Achipur is easily accessible from Kolkata by road and rail transport. Achipur is situated at a distance of 33 kilometers from Kolkata. The buses of route No. 77 depart from Esplanade and the journey takes around 2 hours to reach Achipur via Taratala, Budge Budge. You need to de-board at the bus stop called Boro Battala and from there, walk 15 minutes to Chinamantala, which is an ancient temple site. A journey by car takes less than an hour to reach the place through Budge Budge Road. Otherwise, you can board Budge Budge bound local train from Sealdah South Station and disembark at Budge Budge. Buses and auto rickshaws are plying to Achipur from there. 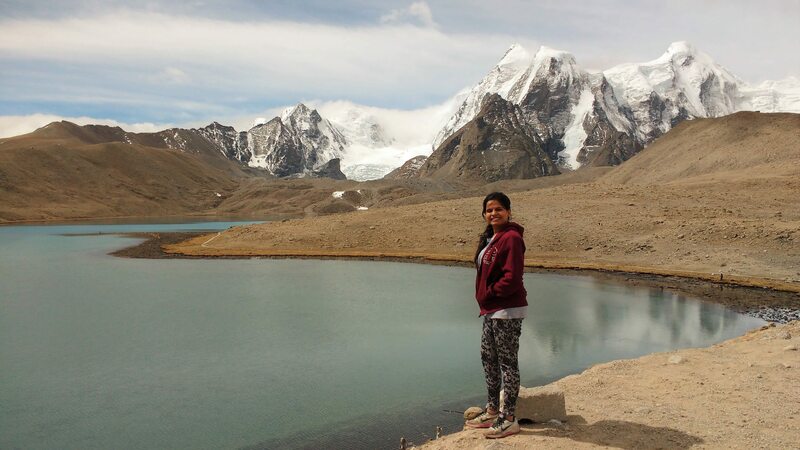 A day trip is sufficient to cover all the sights of Achipur. There are a few eateries, but it is better to carry food with you. 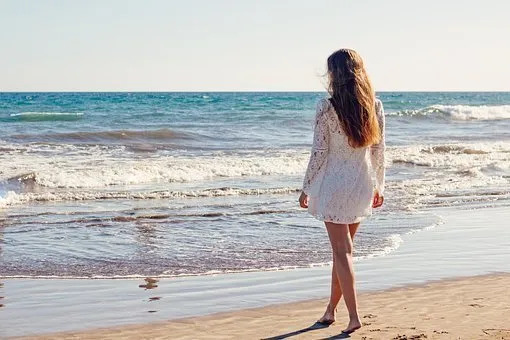 Dear Readers, Thank you for reading my post if you like please leave us a “feedback by clicking the stars” or by your lovely comment!